Clad quarters have a copper band around the edge, between 2 nickel colored layers. Look for these 8 valuable quarters in your everyday pocket change! 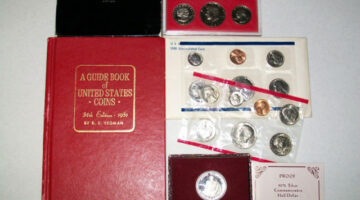 Silver mint sets are great collectibles that contain old silver coins in uncirculated grades. So, what’s the story behind those scarce uncirculated 1982 and 1983 coins? The U.S. Mint produced the 2009 Lincoln penny with 4 new designs on the reverse side of the coin. These Bicentennial Lincoln pennies honor the 200th anniversary of Abraham Lincoln’s birth. Here is the history and facts about the third one released — 2009 Lincoln professional years penny. Souvenir Sets Versus Mint Sets: What’s the Difference? At first glance, mint sets and souvenir sets look very similar to each other. 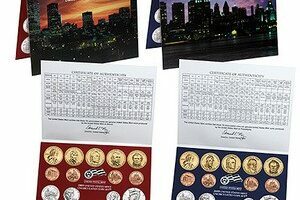 But, in fact, there are some very important differences between mint sets and souvenir sets. 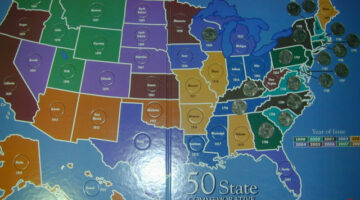 1990s mint sets are easily found, but the 1999 Mint set does not include the 1999 Susan B. Anthony dollar coin. In the 1960s, United States coins underwent several changes. 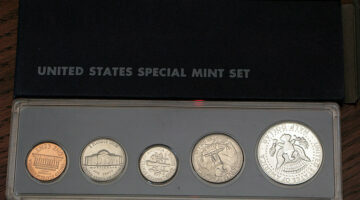 You can see the course of these changes when assembling a complete collection of mint sets from the 1960s. 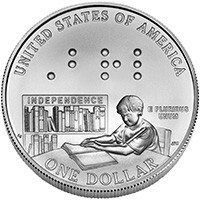 The new Louis Braille Silver Dollar honors the inventor of the Braille reading system for the blind. The surcharges from this coin will go to the National Federation of the Blind. The U.S. Mint produced the 2009 Lincoln penny with 4 new designs on the reverse side of the coin. These Bicentennial Lincoln pennies honor the 200th anniversary of Lincoln’s birth. 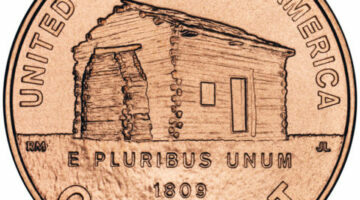 See history and facts about the first one released — the 2009 Lincoln log cabin penny, honoring Lincoln’s birth and early childhood in Kentucky from the years 1809 to 1816. The 1965 coins went through a number of changes, some of which are still in use today. Reduction of silver in the coins and leaving off mint marks were to discourage coin hoarding. Proof sets and mint sets were not produced for 3 years. The 1970s were a colorful time for U.S. mint sets. 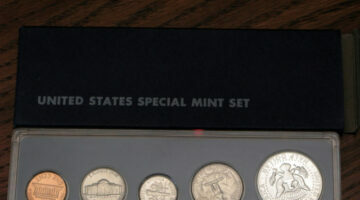 The first mint set of the 1970s still included regular-issue silver coins. The last 1970s mint set offered the first of the very unpopular Susan B. Anthony dollars. 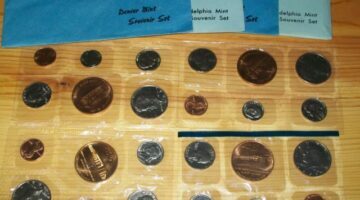 In between, Bicentennial coins, S-mint coins, and the large Eisenhower dollars all had their day in the in 1970s mint sets. 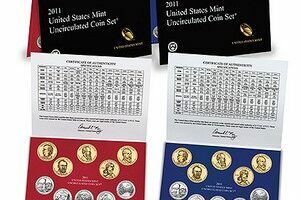 In fact, the United States Mint did not officially produce any coins with a mintmark during the years 1965, 1966, 1967. Here’s why. Many were trying to build complete date sets. Others were pulling silver coins out of circulation to benefit from the rising silver bullion values of the time. Proof Sets And Mint Sets: What’s The Difference? 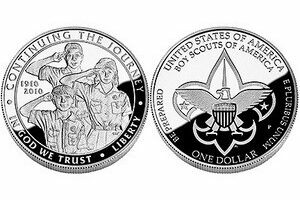 Following is a summary of the differences between mint coin sets and proof coin sets, including how to determine the value of a proof set or a mint set of coins. Washington quarters are a fairly easy series of coins to collect, especially in the lower grades (for the older dates). Yet, there are several scarce dates in the Washington quarters series that have posed challenges for collectors. Let’s look at how some Washington quarters have performed over 15 years.